Please send us an email using the form below and we’ll contact you shortly. 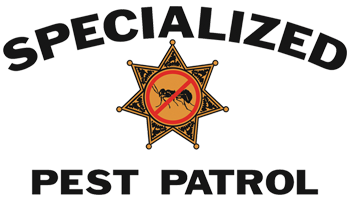 Specialized Pest Patrol has two branch locations that serve the entire Sacramento County, Placer County and El Dorado County areas. Our two locations are in Folsom, CA and Sacramento, CA. Pest Control Sacramento Specialized Pest Patrol is a top rated and has a location in Sacramento, CA. We've highly trained experienced pest control experts performing spider pest control, ant control, rodent control and more. Pest Control Folsom Specialized Pest Patrol is a top rated company. We've highly trained experienced pest control experts performing spider pest control, ant control, rodent control and more. Pest Control Company Specialized Pest Patrol has over 20 years experience in solving pest infestation problems. We're family owned and locally operated in Sacramento county, El Dorado county and Placer county. Whether it's Spider Pest Control, Wasp Control, Ant Control or any other pest control, rodent control or wildlife trapping service, Pest Control Company Specialized Pest Patrol has the experience, effectiveness and cost-effectiveness necessary to perform those services and remove your pest problems. Specialized Pest Patrol is Rated the Best & Most Cost-Effective Pest Control Company in Sacramento, Folsom, Roseville and Elk Grove, CA. Pest Control Sacramento services, Pest Control Roseville CA services, Pest Control Elk Grove CA services and Folsom Pest Control services are performed exceptionally well by Specialized Pest Patrol as evidenced by our reviews on Yelp, Folsom Living, Google (Folsom Pest Control Branch Location), and other reputable websites. We also provide great customer service and the first residential pest control service free for new customers. View Specialized Pest Patrol's Pest Control Services which showcases our quality pest extermination and animal control services. 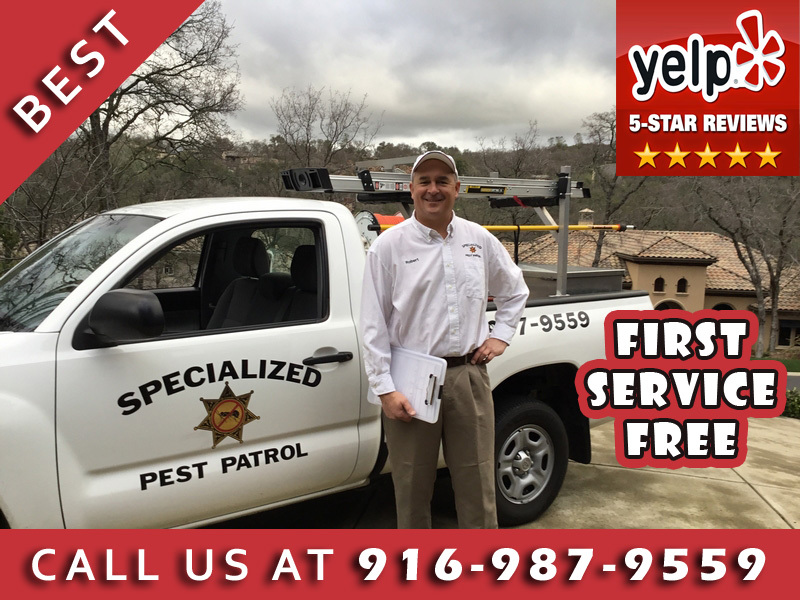 Specialized Pest Patrol website showcases great reviews, in-depth articles on our blog with pest control tips and testimonials showcasing we're the best Pest Control Company in Sacramento, Folsom, Roseville and other service areas.